Reach out to friends and family to see if they have any experiences with five star moving companies, or even companies that you should stay away from. Who better to give you an honest opinion than those you trust most? You can even use your social media to get the word out using Facebook’s recommendation feature. Check out each company’s presence online: including their website, social media, and review profiles. There are so many ways for customers to review their experiences- review sites like Yelp, Google My Business, and Facebook all post customer reviews, and tips and tricks. Look for any common themes that are mentioned in five star reviews and in low-rated reviews. Are there a lot of complaints about service or care for belongings on one star reviews? What do the five star reviews have in common? Reading a variety of reviews across different platforms will give you a pretty good idea of what to expect. Pro-tip: pay attention to review profiles! If an individual has a particularly strong opinion on a company, reference their other reviews to see if there are any patterns with how they review other businesses. Make sure your potential moving company has the proper licenses and insurance for your move. What is the Double Drive Time cost for customers? What type of moving equipment do you use? How long have you been in business and who will be working on my move? What else should I know before my move? This is a great way to evaluate any company you plan on working with or supporting. A five star moving company should demonstrate their dedication to you and your community! This tip was suggested by a Huffington Post article, “13 Tips for Hiring the Best Moving Company” that said, “If they care about the community, chances are they will care about you and your move. They want to continue doing business in your town a long, long time.” We couldn’t agree more with this one! Does this five star company have any notable awards for customer service, certificates, or community outreach? Determine what level of service you need for your move. Maybe you need a full-service move, maybe you need a DIY move… Catch up on your moving vocabulary and see what kind of move you’ll need with this guide from Unpakt blog. 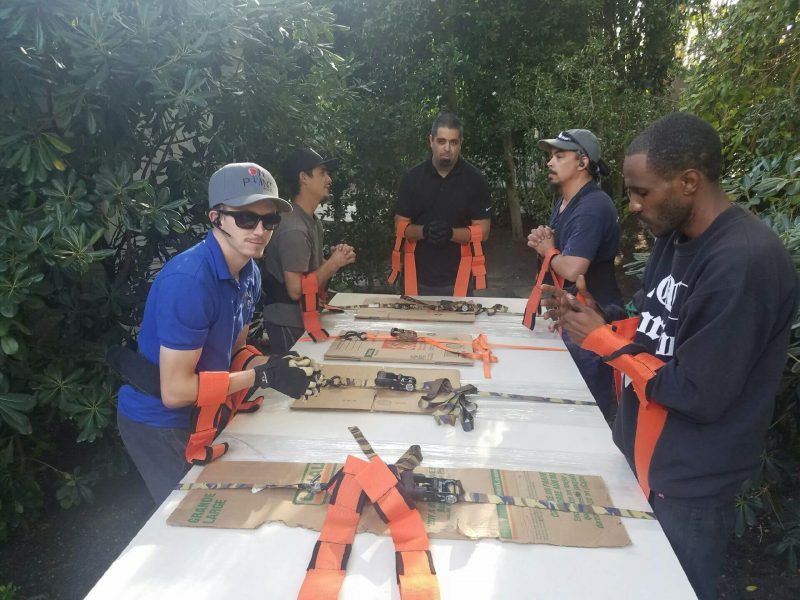 Once you’ve figured out what kind of move you need- residential, commercial, DIY, make sure that the companies you’re looking at offer the service you need. 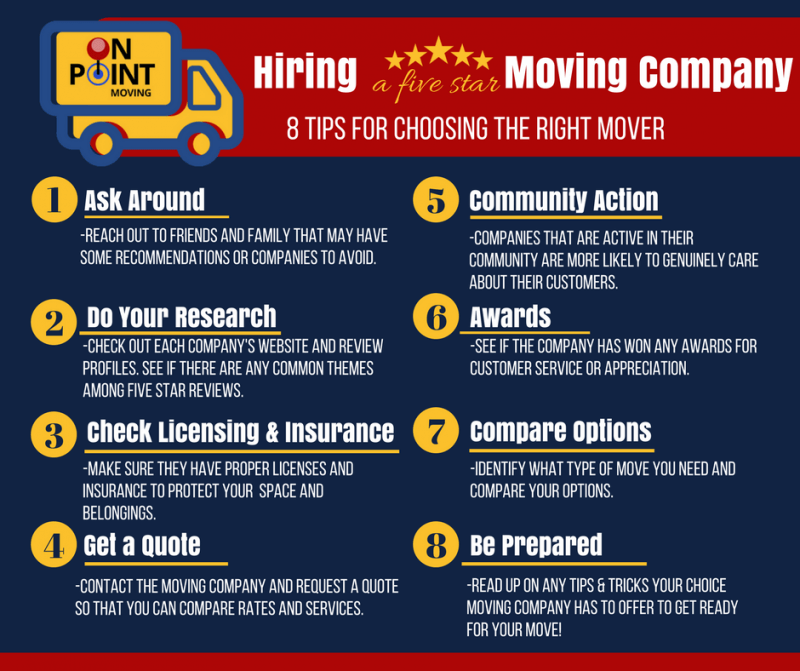 Once you’ve picked out a five star moving company, get ready for your move! See what recommendations, tips, and tricks they have available on their website or social media so that you can have the easiest, most stress-fee move possible!